James O’Brien of NBC Sports: Anaheim Ducks goaltender John Gibson left last night’s game and didn’t return after an accidental collision with teammate Jayson Megna. Craig Morgan: Coyotes Christian Dvorak was on the ice yesterday in a no-contact jersey. Scott Powers: Chicago Blackhawks David Kampf will be out for three to four weeks after suffering a foot injury on Tuesday. Source saying he broke a small bone in his foot. Sean Shapiro: Dallas Stars goaltender Ben Bishop has been missing practice after tweaking something on Monday. Paul Skrbina: The Nashville Predators have activated forward Kyle Turris from the IR. Jim Thomas: St. Louis Blues defenseman Carl Gunnarsson is out with an upper-body injury. Ben Kuzma: Vancouver Canucks goaltender Thatcher Demko will be out for seven to 10 days with a knee sprain. Forward Sven Baertschi saw a doctor on Wednesday and they haven’t given an update yet. Ken Wiebe: Winnipeg Jets coach Paul Maurice said that defenseman Josh Morrissey and his lower-body issue should be good for Saturday. 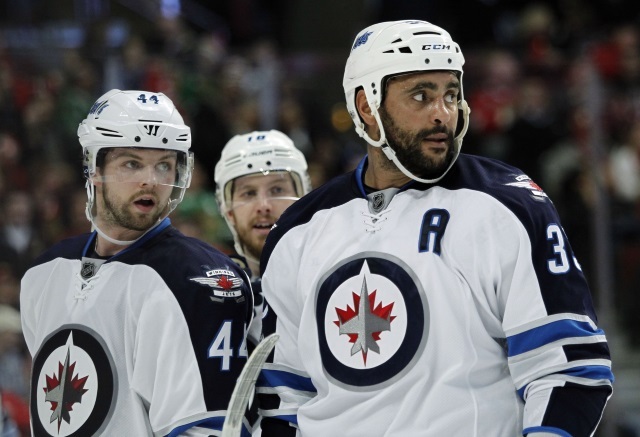 Murat Ates: The Jets activated defenseman Dustin Byfuglien off the IR.